Bruce Willis welcomes UAMC to the party, pal! Everyone knows which the best Die Hard movie is. Anyone suggesting otherwise should be forced to walk the streets wearing a sandwich board extolling the virtues of Die Hard 4.0. But trying to separate the rest of the ultimate Bruce Willis franchise is where the trouble begins. Are you a fan of Live Free or Die Hard’s cyber technological leanings or do you prefer the Cold War throwback vibes of A Good Day To Die Hard – Jai Courtney and all? Or maybe the sight of William Sadler’s naked-yoga-loving villain from Die Hard 2 floats your boat? Or perhaps you would rather see John McClane team up with Zeus Carver? It’s time for the Ultimate Action Movie Club to wade into the debate with a ranking of all the Die Hard movies to date, starting with the worst and working our way through to the best. Yippie Ki-Yay Die Hard lovers! 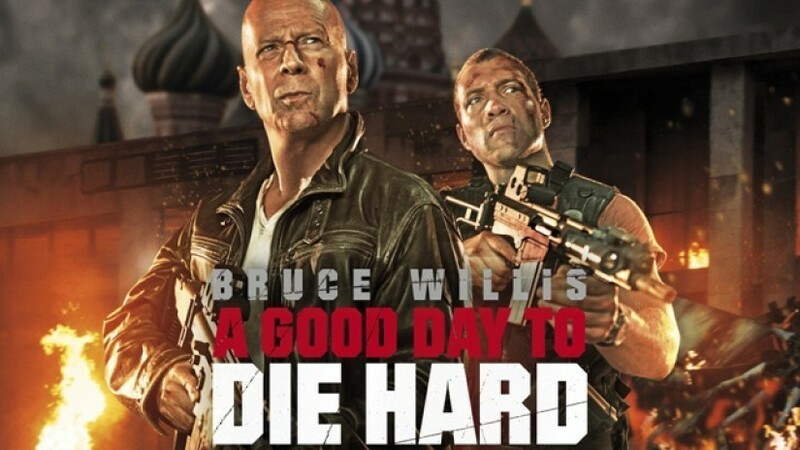 Far and away the weakest entry in the franchise to date, A Good Day To Die Hard dispensed with any semblance of reality in favour of over-the-top action sequences, lazy, predictable writing and charisma vacuum Jai Courtney. Cast in the role of John McClane’s CIA agent son, his lack of chemistry with Bruce Willis only adds to the lacklustre feel of the film. Willis, meanwhile, goes through the motions as John McClane, appearing visible bored as he lurches from one outlandish set piece to another. It’s a shame too, because Moscow could have made for an intriguing setting with the right kind of script and a better actor in Courtney’s role. I.e. anyone. 12 years on from the excellent Die Hard With A Vengeance, John McClane returned for this more modern take on the tried-and-tested Die Hard formula. 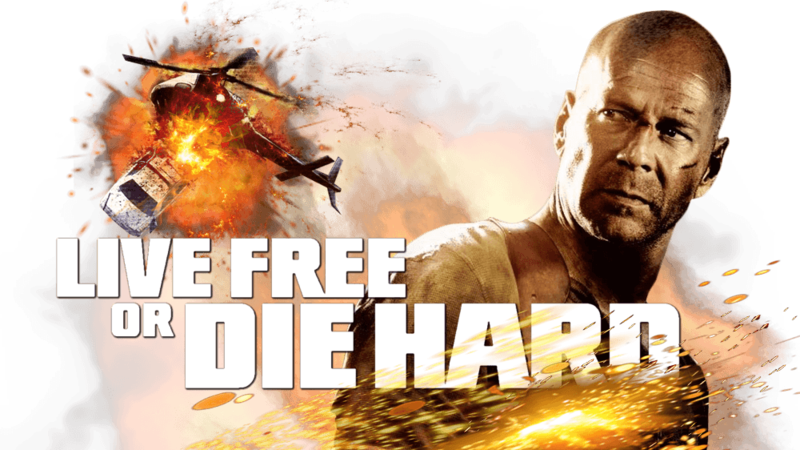 Stuck in development hell after the 9/11 Terrorist attackers prompted the studio to rethink its approach, Live Free or Die Hard is a mixed bag of a movie. The action sequences certainly make for eye-catching viewing, while Justin Long does a surprisingly decent job of injecting some levity as McClane’s hacker sidekick. However, it’s still the weakest entry to date, with a technology focused plot that already feels out of date and, in Timothy Olyphant’s cyber-terrorist, a strangely miscast villain. Mary Elizabeth Winstead is also woefully underused as McClane’s daughter. Fun but kind of dumb. Director Renny Harlin was handed the seemingly impossible task of following up the original Die Hard but did a fine enough job in the circumstances. Die Hard 2 works well in finding a way to up the stakes from the first film while staying faithful to some of the things that made the first film so popular. 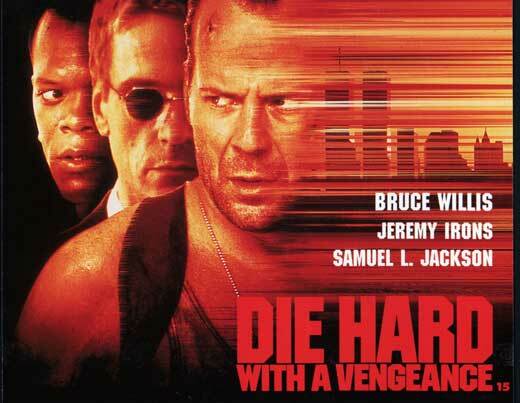 There’s another group of ruthless terrorists, ready to be picked off one by one, while the setting and scope is bigger with McClane waging his one-man war across the battlefield of an international airport. William Sadler is solid enough as the film’s principal villain Colonel Stuart, even if he pales in comparison to Hans Gruber. Though Bonnie Bedelia’s return as McClane’s wife Holly feels a little shoehorned into proceedings, and the film is a little joyless at times, there are enough surprise twists, memorable set pieces and grim deaths to paper over those cracks. John McTiernan returned for this expansive and enthralling sequel, which found a way to take the first film’s claustrophobic concept and take it city-wide for a cat-and-mouse thriller unlike any Die Hard film before. 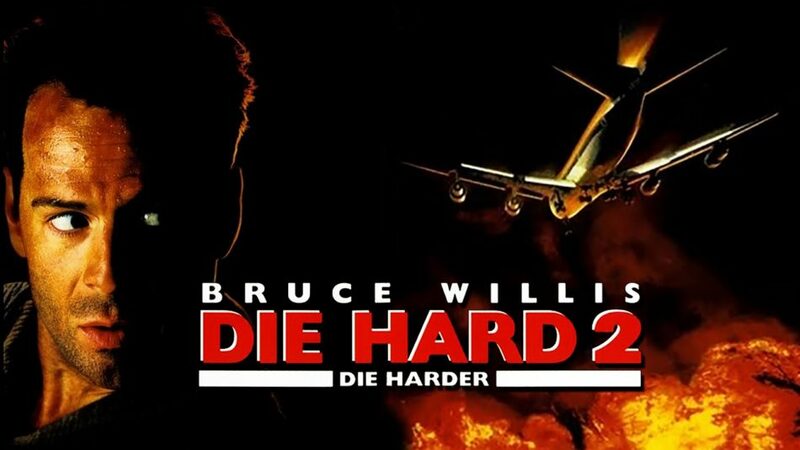 Based on a pre-existing script called Simon Sez, it was rewritten to serve as sequel after an initial idea for a Die Hard movie set on a boat was rejected for being too similar to Under Siege. It’s a good job too. McTiernan delivers a fine thriller, with New York the perfect setting for a big and brash action movie brimming with impressive performances. Samuel L. Jackson’s Zeus Carter is the perfect foil for McClane while Willis is excellent too with McClane at something of a low, as a washed up, borderline alcoholic cop. Credit too to Jeremy Iron’s, Simon Gruber. A cold and calculated villain, Irons doesn’t try to upstage Alan Rickman’s Hans Gruber, delivering an understated and intelligent performance that underpins much of the action. 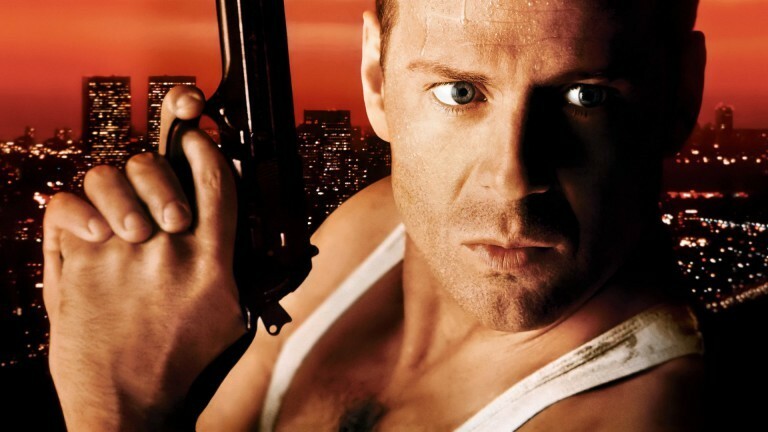 The benchmark for modern action films as we know them, Die Hard wasn’t just the film that made Bruce Willis an action star, it’s also the film that showed these kinds of movies could be both clever and funny. 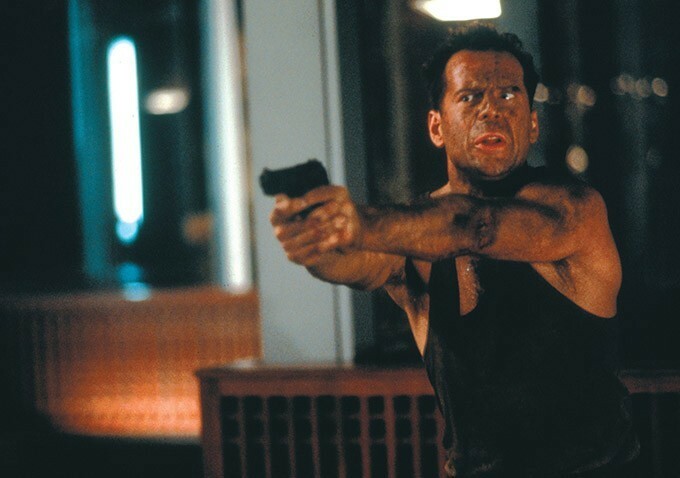 A simple concept on paper, Die Hard benefits from the fine directorial hand of John McTiernan, who was fresh from making Predator, and a well-crafted script from Steven E. de Souza and Jeb Stuart. But all of that would have fallen flat were it not for the charisma of Willis and his opposite number, Alan Rickman, whose Hans Gruber still ranks among the greatest movie villains of all time. Bonnie Bedelia and Reginald VelJohnson inject some emotional heart into proceedings as McClane’s wife and the LA cop he befriends while searching for help on a police radio. There’s not a single weak link in the Die Hard cast either, whether it’s Gruber’s gang of mercenaries or Hart Bochner’s coked-up Harry Ellis. Imitated by countless films since, but never bettered, Die Hard is testament to the power of good writing and talented actors and filmmakers over big budget stunts. Best of all, there’s not a Jai Courtney in sight. Ever since he first locked eyes on Sylvester Stallone in his formative years, Jack Beresford has loved action movies great and small. Whether it’s Steven Seagal, Arnold Schwarzenegger or Jean-Claude Van Damme, if it’s got high kicks, high octane stunts and the occasional bit of questionable acting, he’s there. Other interests include Nicolas Cage, Cannon Films and wrestlers with ambitions of making it big in Hollywood.